The "Sessions" LP remained unreleased. 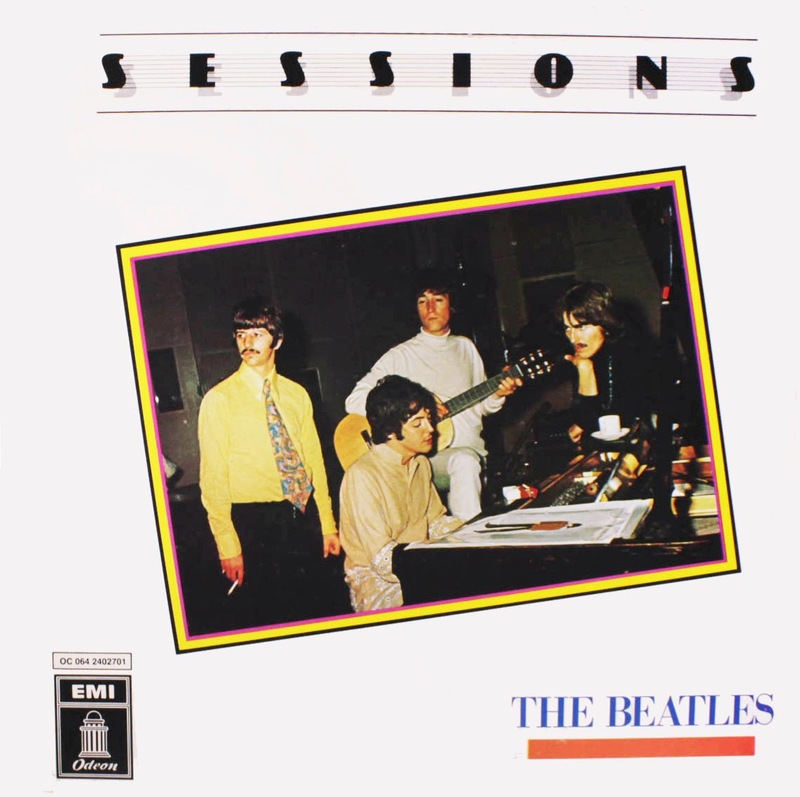 "Sessions" was a compilation album by The Beatles planned for release by EMI in 1985, but never issued due to objections by Apple. 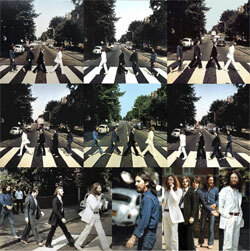 The album consisted of thirteen finished, but unreleased, Beatles songs. A single—"Leave My Kitten Alone", with an alternative version of "Ob-La-Di, Ob-La-Da", which was not to appear on the album, as its B-side—was also planned, but it too was left unissued. On 26 January 1976, when The Beatles' nine-year contract with EMI Records finally expired, EMI immediately began to take stock of The Beatles' back catalogue, seriously considering for the first time the hundreds of hours of unreleased recordings stored haphazardly in the Abbey Road Studios' tape vault. Ever since the break-up of the band, there had always been rumours of unheard Beatles titles. Titles such as Junk, The Void, Not Guilty, and What's The New Mary Jane were among the song titles that were talked about. In an article in the New Musical Express of 23 March 1974 a list was compiled of Beatles' rumoured EMI outtakes. Titles mentioned included "How Do You Do It", "Suzy Parker", "If You've Got Troubles", "Jazz Piano Song", "You'll Know What To Do", "Pink Litmus Paper Shirt", "Penina", "Not Unknown", "India", "Annie", "When I Come To Town", "Four Nights In Moscow", "Colliding Circles", and "Always And Only". Some of these did indeed exist, some were misinterpretations apparently based on EMI session sheets (working titles etc) and some looks like they were just made up. The 1975 discography book "All Together Now" by Castleman/Podrazik mentioned all of these, plus the following: "Keep Your Hands Off My Baby", "Tell Me If You Can", "Peace Of Mind", and "I Should Like To Live Up A Tree". Further rumored titles among the fans were "Baby Jane", "I'm Sorry", "Bad Penny Blues", "Echoes Of The Merseyside", "Home", "Just Dancing Around", "Maisy Jones", "Moonglow", "My Kind Of Girl", "Portrait Of My Love", "Proud As You Are", "Rubber Soul", "Swinging Days", and "Zero Is Just Another Even Number". While people were speculating, EMI executives listened to all the material that had not been released. However, they only considered song titles which hadn't been released, ignoring four hundred hours or so of rehearsals, demos, alternate takes, arrangements, and mixes of familiar songs. So their initial research only came up with about ten titles considered worthy of attention. According to Mark Lewisohn, EMI "began doing in-house compilation cassettes" of this material - one of which found its way into private collectors' hands by late 1978. The tape was played in 1980 at a Beatles convention, and eventually released on a bootleg entitled File Under: Beatles. File under: Beatles was put together from songs that appeared on the so-called 'boardroom tape', which was an off-line recording (hence sound quality) of unreleased Beatles tapes which were submitted to a board of EMI people in 1976, in order to decide if any of them was releasable. They listened to it, but decided against it and issued the compilation album Rock And Roll Music instead. The whole boardroom tape eventually leaked in full, and has been released on a CD bootleg. Dig A Pony Alternate take, but much like the released version. EMI was considering all of these for release, and the list was expanded to include more material from the Get Back sessions and the sessions for the Abbey Road LP, but nothing came of it. This photo was supposed to be on one side of the "Sessions" inner sleeve. In 1981, an engineer at Abbey Road named John Barrett found he had cancer, and was looking for a way to occupy his time while undergoing treatment. Ken Townsend, the manager of the studios at the time, thought that finally going through the vaults and seeing exactly was and was not there with regards to the Beatles' many recording sessions would be an excellent task for the ailing engineer. Barrett ripped into his task with gusto, spending weeks listening through every tape and making up a detailed "catalog" of sorts, with multi-colored tabs and dividers for easy access to the various sections, and color codings for the multitudes of mixes and takes which were included. The first fruits of this research was used on the insert for the box of EMI's "The Beatles Singles Collection" issued in December of 1982, which featured for the first time the recording dates for the tracks enclosed. Also, an informative article in "Record Collector" by Nick Piercey in october 1983 included EMI mouthpiece Mike Heatley using Barrett's guide when answering Piercey's queries about various Beatles recording issues. On 19 February 1982, Barrett notated the previously-blank tape box for the "Leave My Kitten Alone" session, pointing out "Track cuts off before end" (in other words, the tape ends abruptly before the song has finished) next to take 5. This take was again considered for single release at Christmas 1982 but nothing was done about it. Besides the discovery of great alternate versions ("I'm Looking Through You", "While My Guitar Gently Weeps", and "Norwegian Wood" for example), Barrett's work led EMI to take its first steps towards letting the public actually hear this material. It was decided that Abbey Road's Studio 2, during a summer 1983 renovation, would be opened to tourists - the highlight being a visual history of The Beatles' recording career, accompanied by a soundtrack featuring outtakes and alternate mixes. It was during the preparations for this show that copies of some complete EMI reels were made and eventually sold to bootleggers, ultimately resulting in albums like Ultra Rare Trax and Unsurpassed Masters. This photo was supposed to be on the other side of the "Sessions" inner sleeve. Years of speculation were about to come to a close, and expectations were high in the months leading up to the show. In February 1983, EMI confusingly confirmed the existence of "parts of" longer versions of "Hey Jude", "Revolution" and "Helter Skelter". Even when they knew what they had, EMI weren't quite sure what they had. On 11 July 83, they further confirmed titles like "Leave My Kitten Alone", "How Do You Do It", "If You've Got Trouble," and "That Means A Lot". When the presentation, The Beatles Live At Abbey Road, opened on 18 July 83, it was a mixed bag. 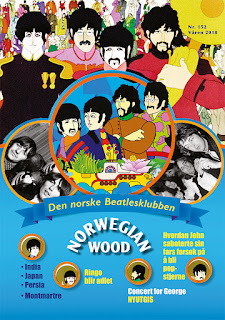 I had the pleasure of attending one of these, and was delighted to hear new Beatles material. Songs like "Leave My Kitten Alone" and "How Do You Do It" were included, but incomplete. There was no sign of "If You've Got Trouble" or "That Means A Lot", the long "Helter Skelter", or known titles like "Come And Get It", "Mary Jane" and "Not Guilty". Beautiful stripped-down versions of "Because" and "Strawberry Fields Forever" were mixed in with less compelling things like early takes and false starts from "Don't Bother Me", "I Saw Her Standing There", "She's A Woman" and "A Hard Day's Night". Also, songs like "Rain," "Hello Goodbye," and "Penny Lane" were presented in remixed form, whereas "Love Me Do" and "Twist And Shout" were simply the standard recordings. The one that really stood out for me was George Harrison's acoustic version of "While My Guitar Gently Weeps". That one gave me goosebumps. Somehow, some people managed to smuggle tape recorders past Abbey Road security, and new bootlegs appeared on the market. The show closed on 11 September 83, and EMI again started to seriously work towards coming up with a new LP of outtakes. Meanwhile, the engineer responsible for unearthing and making sense of the recordings, John Barrett, died of cancer in February 1984. In November 1984, a US radio series called "Sgt. Pepper's Lonely Hearts Club Band: A History Of The Beatles Years 1962-1970" made use of different mixes and outtake recordings of some of the familiar Beatles songs, as well as featuring debuts of several other songs, mostly from acetates and demo tapes sold at auctions. One such notable recording was "Besame Mucho", from the Beatles' first EMI session, previously unheard and unreported. Speaking of the Beatles' first EMI session: There was a book store here in Oslo which always used to have a good selection of music books in the eighties, many of them were Beatles books. The clerk who was in charge of the music books was interested in the group, and kept ordering new Beatles books as they appeared. Because of this, he became friendly with his customers, and I always had a chat with him whenever I was in the store. One day he told me that one of his customers had claimed that he was in possession of that entire session tape, with all four songs. It always struck me as strange that "Besame Mucho" was leaked, but not the rest of the songs. 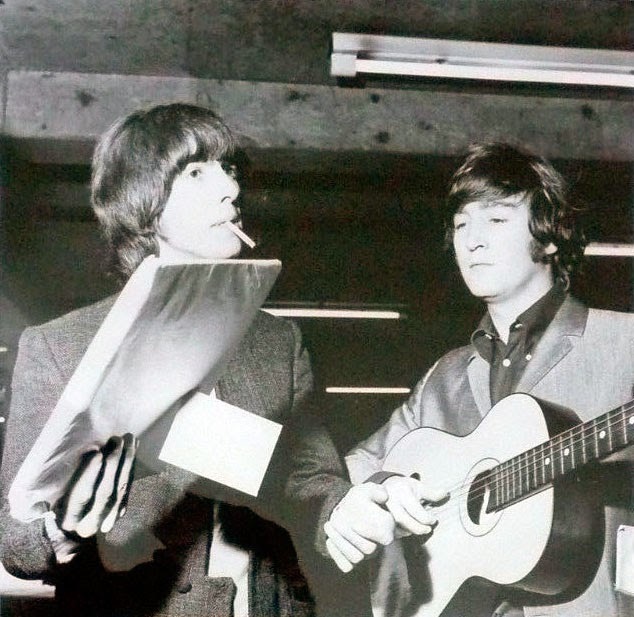 A few years later, George Martin discovered an acetate of "Love Me Do", which was released on "Anthology 1", but the remaining two still haven't found their way to a bootleg or an official release. So maybe they are in the hands of a Norwegian collector. Or perhaps it was just a tall tale. Anyway, the recording of "Besame Mucho" was, in fact, one of the tracks EMI was considering for its own Beatles project, which had the in-house code name "Mary Jane", the joke working-title "Boots", and the penultimate title "One-Two-Three-Four". Throughout the summer of 1984, once the line-up was set, engineer Geoff Emerick did his best to desecrate the material by chopping it up and assembling new versions which in some cases scarcely resembled the original takes. EMI prepared a press release which claimed that Emerick merely "remixed them and enhanced the overall sound quality by transferring the tapes". In fact, over half the songs were severely edited, others more subtly faded or spliced to bring them into line with Emerick's (and EMI's) idea of 1984 commercial standards. 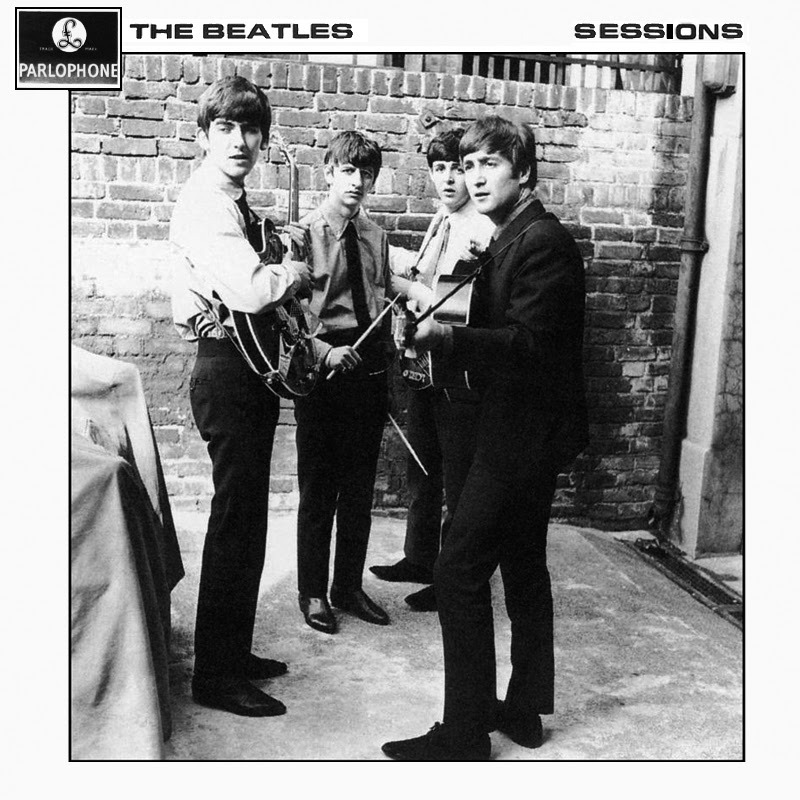 One "Sessions" bootleg had this cover, supposedly also a rejected idea for the original LP. Note the Odeon label. Then they found another, final album title: "Sessions". The album was planned for release in November 1984, with "Leave My Kitten Alone" and the "Ob-La-Di, Ob-La-Da" / "Christmas medley" (which was dropped from the LP lineup) supporting it as a single. However, Paul unwittingly intervened by scheduling his "Give My Regards To Broadstreet" album for release the same month. So EMI bit their tongues, sat on their hands and watched the profitable Christmas season pass by rather than compete with Paul's release. In fact, so eager were they not to upset Paul, EMI didn't bother to tell him (or George and Ringo) about "Sessions" until it was almost out of the gate. 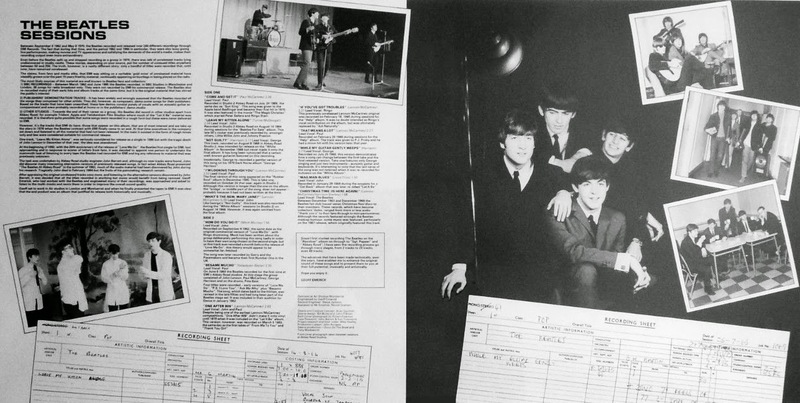 The foldout cover had a layout resembling Mark Lewisohn's "Recording Sessions" book. Sleeves for the LP and 45 were designed, sleeve notes written (in August 1984 by Allan Kozinn, later replaced by Brian Southall's notes), label copy was prepared (on 14 December 1984), catalogue numbers were assigned (Parlophone EJ 2402701 and Capitol ST-12373 for the LP, Parlophone R6088 for the single), and release dates were set. 28 January 1985 for the single and George's birthday, 25 February 1985 for the LP. “Come And Get It” Eventually released on Anthology 3. 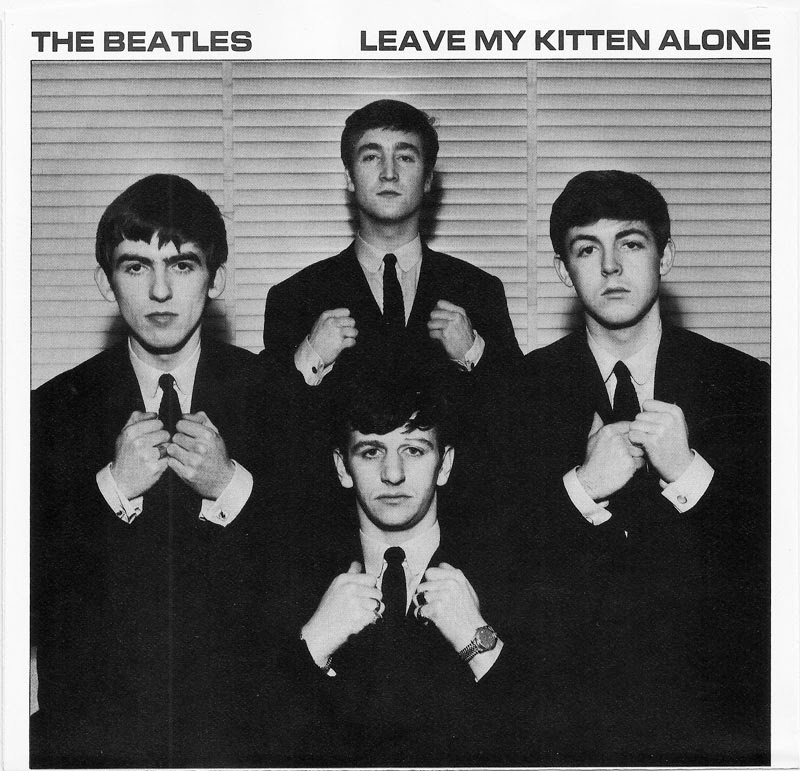 “Leave My Kitten Alone” Eventually released on Anthology 1. “Not Guilty” Eventually released on Anthology 3. “I’m Looking Through You” Eventually released on Anthology 2. “What’s The New Mary Jane?” Eventually released on Anthology 3. 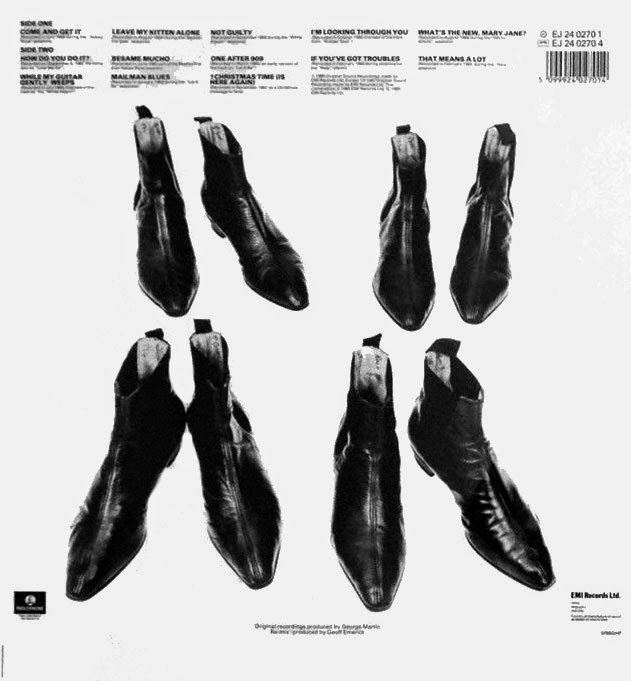 “How Do You Do It” Eventually released on Anthology 1. “Besame Mucho” Eventually released on Anthology 1. “One After 909″ Eventually released on Anthology 1. “If You’ve Got Trouble” Eventually released on Anthology 2. “That Means A Lot” Eventually released on Anthology 2. “While My Guitar Gently Weeps” Eventually released on Anthology 3. “Mailman, Bring Me No More Blues” Eventually released on Anthology 3. “Christmas Time Is Here Again” Short edit. Eventually released in a longer edit on the “Free As A Bird” CD single. And then The Ex-Beatles found out about the project. Everything came to a dead halt; EMI tried to put the best face on things. An article published 26 May 1985 quoted EMI representatives as follows: "We're now discussing the matter with the remaining Beatles and representatives of John Lennon's estate with an aim to releasing an album sometime. The format that (EMI) suggested was not acceptable, but one obviously has to start somewhere. And then we move on from there. We move on to other formats now, other suggestions and discussions." As we now know, the proposed "Sessions" album was merged with Neil Aspinall's in the works "The Long and Winding Road" documentary and finally materialised as the "Anthology" project, with a TV-series, three 3LP / 2CD releases and eventually a book. However, a copy of the Sessions master reel was traded around collectors and pressed onto bootlegs by early 1986, eventually becoming probably the best seller of all Beatles bootlegs. 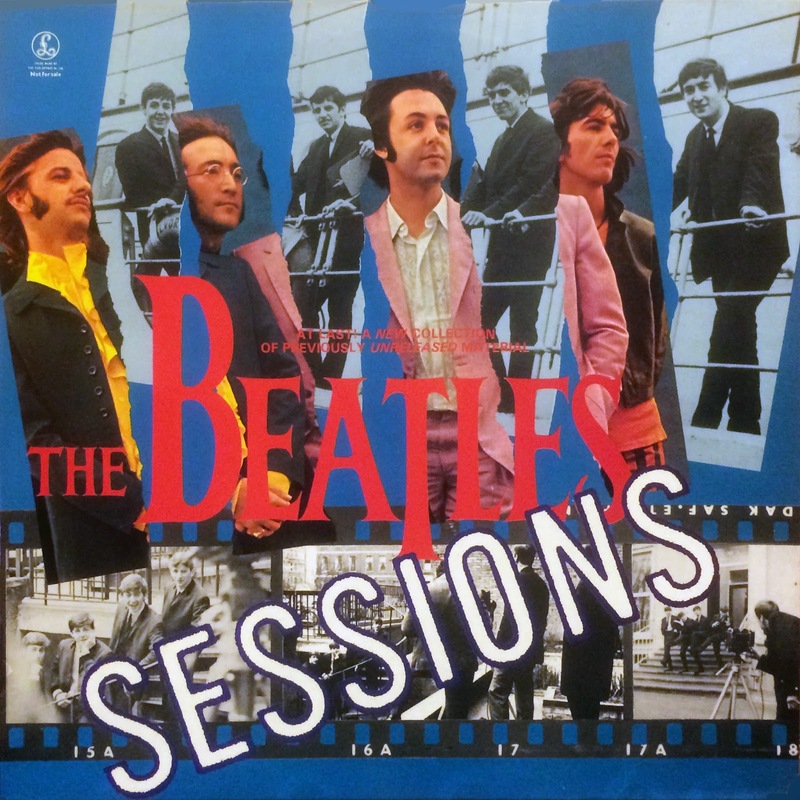 The most common cover for the "Sessions" bootleg. The above photo was also one of the three different sleeves supposedly being among the contenders for the finished album sleeve. All of the tracks above using the same edits and mixes, were featured on The Beatles "Anthology" sets in the mid-nineties with the exception of “Christmas Time Is Here Again” which is only a short edit lasting just over a minute on "Sessions". A longer edit of “Christmas Time Is Here Again” appeared as a b-side on the “Free As A Bird” CD single which was released in December 1995 in conjunction with the Anthology releases. The song was originally recorded by The Beatles in 1967 for use in their annual message on flexi-disc issued to fan club members over the Christmas holidays each year. A complete slick set for the gatefold cover for the "Sessions" album was auctioned on ebay recently by Perry Cox, but the bidding stopped at US $2,910.00, which failed to meet the reserve. This was the complete artwork including the front cover, the back cover, and the inner sleeve. This was as far as production ever reached before the entire project was cancelled by EMI Records and no album was pressed for it. There was also one 7" picture sleeve made in the U.S.A. to final production for "Leave my kitten alone" which was made, but also not issued. There seems to have been a lot of these covers around, but no vinyl single was ever produced. Thanks to John C Winn for a lot of the text in this blog post, as well as leaning on research done by someone who posted in in the rec.music.beatles.moderated newsgroup. Thanks to Mark Jones for a scan of the final photo. Between September 4 1962 and May 8 1970, the Beatles recorded and released over 200 different recordings through EMI Records. The fact that during that time, and the period 1962 to 1966 in particular, they were also busy giving live performances, making movies and TV appearances and satisfying the demands of the world's media, makes their recording output even more extraordinary. Even before the Beatles split up and stopped recording as a group in 1970, there was talk of unreleased tracks lying undiscovered in studio vaults. These stories, depending on your source, put the number of unissued titles anywhere between 50 and 250. The truth, however, is a vastly different story; only a handful of titles were recorded that, until now, have remained unreleased. The claims from fans and media alike that EMI was sitting on a veritable "gold mine" of unreleased material have steadily grown over the past 15 years fired by material continually appearing on bootlegs or being played on the radio. 1. BBC RECORDINGS - Between March 1962 and June 1965 the Beatles recorded in BBC studios in Manchester and London 36 songs for radio broadcast only. They were not recorded by EMI for commercial release. The Beatles also re-recorded many of their early hits and album tracks at the same time, but it is the original material that has stirred the public's interest. 2. PUBLISHER'S DEMONSTRATION TRACKS - It has been wrongly and widely assumed that the Beatles recorded all the songs they composed for other artists. They did, however, as composers, demo some songs for their publishers. Based on the tracks that have been unearthed these few demos consist purely of vocals with an acoustic guitar accompaniment and were probably recorded at home or in the publisher's demo studio. 3. OTHER STUDIOS - Towards the end of their career as a group, the Beatles did record in other studios apart from Abbey Road; for example, Trident, Apple and Twickenham Film Studios. where much of the "Let It Be" material was recorded. It is therefore quite possible that some songs were recorded in rough form, but these were never delivered to EMI. However, it is the tracks that EMI do have, those that appear on this album, that are of the most interest, and we take up the story in 1976, when the Beatles' contract with EMI finally came to an end. At that time executives in the company sat down and listened to all the material that had not been released. In the main it existed in the form of rough mixes only, and few were considered suitable for commercial release. One track - "Leave My Kitten Alone" - was seriously considered as release for a single in 1980 but with the tragic death of John Lennon in December of that year the idea was abandoned. At the beginning of 1982, with the 20th anniversary of the release of "Love Me Do", the Beatles' first single for EMI fast approaching and in response to scores of letters from fans, it was decided to appoint one person to undertake the mammoth task of listening to every tape the Beatles had recorded for EMI and note any reference to material that was previously unknown. The task was undertaken by Abbey Road studio engineer John Barrett and although no new tracks were found, John did discover many interesting alternate versions of previously released songs. In fact, when Abbey Road presented "The Beatles At Abbey Road" in the summer of 1983, much of the audio material had been discovered by John during his research. Tragically, John died in February 1984, but the fruits of his painstaking research remain. After appraising the original unreleased tracks once more and listening to the alternate versions discovered by John Barrett, it was decided that all the titles recorded in anything but mono would benefit from being remixed. Geoff Emerick, who had worked with the Beatles and engineered many of their recordings, was approached and asked to listen to the multi-tracks and remix them in order to improve their overall sound quality. Geoff set to work in Air studios in London and Montserrat and when he finally presented the tapes to EMI it was clear that the end product was an album that justified its release both artistically and musically. Recorded in Studio 2 Abbey Road on July 24 1969, the same day as "Sun King". This song was given to the Apple band Badfinger and became their first hit in 1970. It was featured in the movie "The Magic Christian", which starred Peter Sellers and Ringo Starr. Recorded in Studio 2 Abbey Road on August 14 1964 during sessions for the "Beatles For Sale"album. This late 50's rocker was previously recorded by, amongst others, Little Willie John and Johnny Preston. This track, recorded on August 8 1968 in Abbey Road Studio 2, was intended for release on the"White Album" in November 1968 but never made it onto the final album. It has long been rumoured that a certain well-known guitarist featured on this recording. Incidently, George re-recorded a gentler version of this song for his 1979 Dark Horse album "George Harrison". The final version of this song appeared on the "Rubber Soul" album in December 1965. This is take one, recorded on October 24 that year, again in Studio 2. Although this version is longer than the one on the album, the "bridge" or middle part of the song does not appear, probably because it had not been written at the time. Like George's "Not Guilty", this track was also recorded during the "White Album" sessions (in Studio 2) on August 14, 1968. However, it was again omitted from the final album. Recorded on September 4 1962, the same date as the original commercial version of "Love Me Do", with Ringo drumming. Much has been written about the group deliberately performing this song badly in order to have their own song chosen as the second single, but as this track was recorded a month before the release of "Love Me Do", this theory would appear to be somewhat far fetched.This song was later recorded by Gerry and the Pacemakers and became their first Number One in the UK. On June 6 1962 the Beatles recorded for the first time at EMI's Abbey Road Studios. At this stage the group consisted of John Lennon, Paul McCartney, George Harrison, and on drums Pete Best. 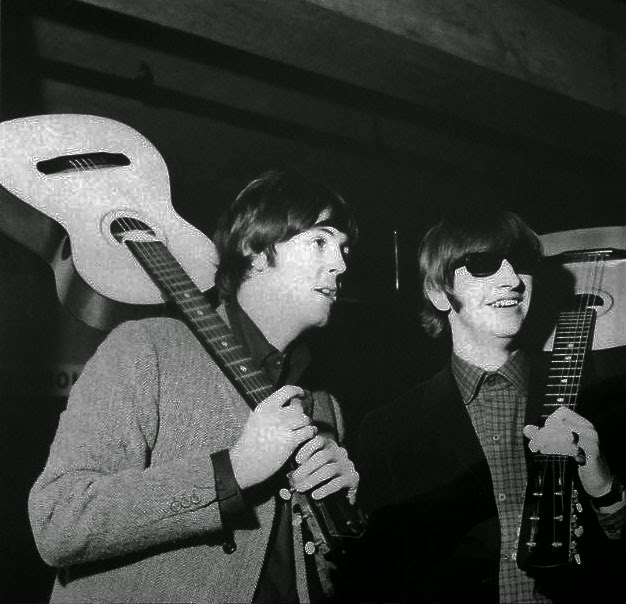 Four titles were recorded - early versions of "Love Me Do", "P.S. I Love You", "Ask Me Why", plus "Besame Mucho". The song, which dates back to the thirties, was revised in the late fifties and had long been part of the Beatles stage set. It was included in their audition for Decca in January 1962. Despite being on of the earliest Lennon/McCartney compositions, "One After 909" didn't make it onto vinyl until 1970 when it was included on the "Let It Be" album. This version, however, was recorded on March 5 1963, the same day as the first takes of "From Me To You" and"Thank You Girl". This previously unreleased Lennon/McCartney original was recorded on February 18, 1965, during sessions for the "Help" album. It was no doubt intended as Ringo's vocal contribution on the album, but it was ultimately replaced by "Act Naturally". Recorded on February 20, 1965 during sessions for the "Help" album. The track was given to P.J. Proby and he had a minor hit with his version a year later. Recorded on July 25 1968, this version demonstrates how a song can change between the first take and the final released version. 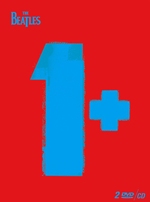 Take one features only George singing and just two instruments - acoustic guitar and keyboards. It's interesting to note that the last verse of the song was not retained when it was re-recorded for inclusion on the "White Album". Recorded on January 29 1969 during the sessions for a "Get Back" album that was later re-titled"Let It Be". Between December 1963 and December 1969 the Beatles fan club issued seven Christmas flexidiscs to their members. These records, which have become collector's items, ranged from more or less audio "thank you's" to their fans to mini pantomimes. Although the records featured strongly the Beatles' madcap humour, some music was featured, particularly on the 1967 release, which originally featured this track. "Since I first started recording the Beatles on the "Revolver" album on through to "Sgt. Pepper"and "Abbey Road", I have seen the recording process go through many stages, from 2 tracks to 24 tracks, even 48 tracks." "The advantages that have been made technically, over the years, have enabled me to enhance the original sound of these songs and to present them to you at their full potential, musically and artistically. Hope you enjoy it." Remixed at Air Studios, Montserrat. Assistant to Mr. Emerick: Nicole Graham. Cover and Creative Concept: Brian Southall. Sleeve design: Bill Brooks and John O'Brien. Front Cover photograph taken between sessions at Abbey Road Studios. Tape Research: John Barrett and Ken Townsend. Project research and liner notes: Mike Hendley. Sleeve production: Quick On The Draw and Tony Wadsworth. This text is lifted from the proposed black and white foldout cover version of "Sessions". As far as we know, a finished sleeve was never produced, only the slicks exist. Back of the simple colour sleeve. This is the Beatles album that millions of fans have been waiting for. It is an entirely new collection of previously unreleased originals and some alternate versions of familiar tunes. Running from the Parlophone audition in June 1962 to a McCartney demo recorded on the eve of the group's demise, it shows The Beatles’ musical development from a perspective even veteran collectors are not used to. Over the years. much has been written about the possible number of unreleased Beatles tracks supposedly remaining in "EMI's vaults" The truth of the matter is that there is only a handful. As studio technology got more and more intricate during the 1960s. so did the Beatles' creativity and inventiveness. More and more the boys would begin a recording session with only the vaguest outline of a song, which would then be tested in a varying number of formats and styles during the actual recording process. The possibility of adding any number of "layers ' to a tune was used in full by The Beatles, who composed, so to speak, 'paintings" in sound like a master painter using a palette of infinite richness. 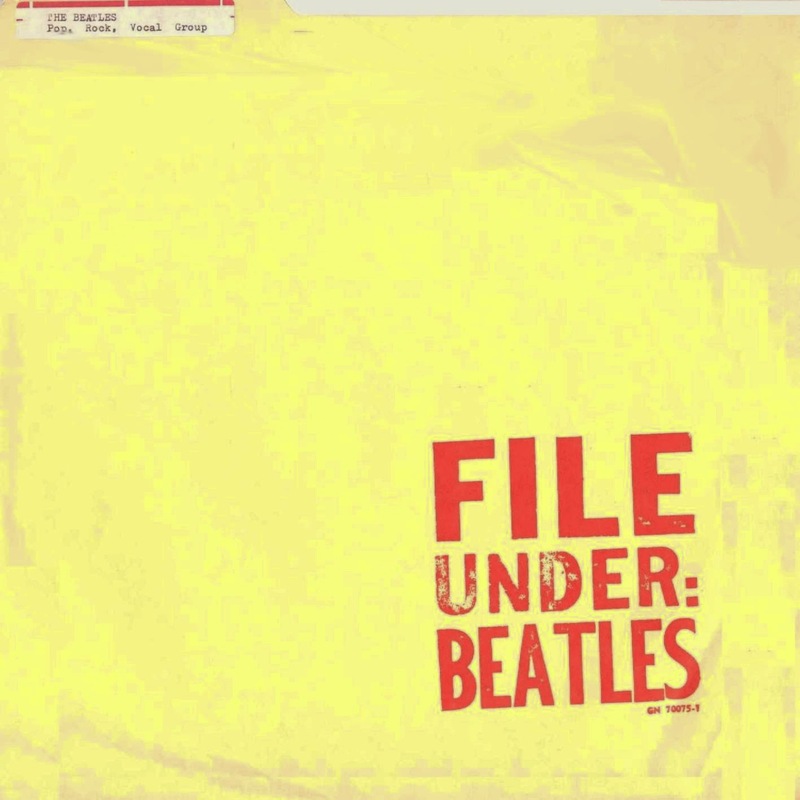 The unreleased Beatles material which still exists today. aside from false starts, snippets of songs and some "warmup" jamming, consists mainly of separate music tracks that were not used in the released version of a song. In addition, many alternate takes of released songs survive, but to suggest that they are better or more interesting than the released version would be to question The Beatles‘ own artistic judgment. After all, The Beatles were at the very top of their field precisely because they only allowed their best material to come out. As a result, most unreleased recordings are left unreleased for very good reasons. There remains, therefore, only a very limited number of tracks of which after all these years a release could be considered. These contain songs that were "left over" from their many sets of recordings - the main reason being that the space available on an LP simply made it impossible for the boys to release everything that was set down on tape When the time came for the next album or single, there was an abundance of new material to be recorded. and besides, the group's sound and approach had changed. So a number left over from, say, the "Revolver" sessions was unlikely to be included on the "Sgt Pepper" album. Here is a detailed listing of all the tracks on this album in the order in which they were originally recorded. Besame Mucho, sung by Paul. comes from the Beatles‘ very first recording session with Parlophone on Wednesday 6 June 1962 with Pete Best still a member of the group! How Do You Do It? was recorded on Monday 26 November 1962. the same session which also produced Please, Please Me. One After 909 (in a version predating the released one by six years! was left over from the Tuesday 5 March 1963 sessions which also produced From Me to You. Leave My Kitten Alone comes from the "Beatles for Sale" sessions and was recorded on Wednesday 5 August 1964. That Means a Lot was recorded during the "Helpl" LP sessions in the spring of 1965. serving as a demo for P.J. Proby's version released that September. The "Rubber Soul" sessions yielded take 1 of I‘m Looking Through You lacking the middle section of the song which had not yet been written at the time, and If You've Got Troubles written by Paul and sung by Ringo. 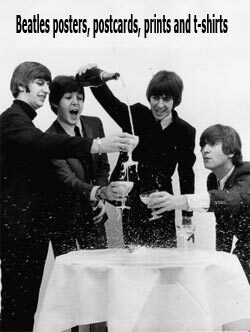 Christmas Time was the theme song of the Beatles‘ fifth Xmas record. taped on Tuesday 28 November 1967 and originally published by The Official Beatles Fan club. The following three songs were recorded during the sessions for the 1968 double album "The Beatles“. With My Guitar Gently Weeps on Thursday 26 July with solo acoustic guitar and with a verse not included in the ﬁnished version. Not Guilty on Wednesday 7 August is a slightly more "psychedelic" version than the one released on the 1979 ‘George Harrison’ album) and What's the New Mary Jane on Wednesday 14 August. The January 1969 sessions for the "Get Beck" album project eventually resulting in the "Let It Be" film and LP contain a Lennon cover version of Buddy Holly‘s 1957 success, Mailman, Bring Me No More Blues. Come and Get It was written by Paul McCartney as the theme song for the Peter Sellers movie ‘The Magic Christian” (also starring Ringo Starr). His demo record sounds even more fabulous than the version sung by Badfinger as released on 5 December 1969. The Beatles themselves were actively lnvolved in getting this new collection off the ground. 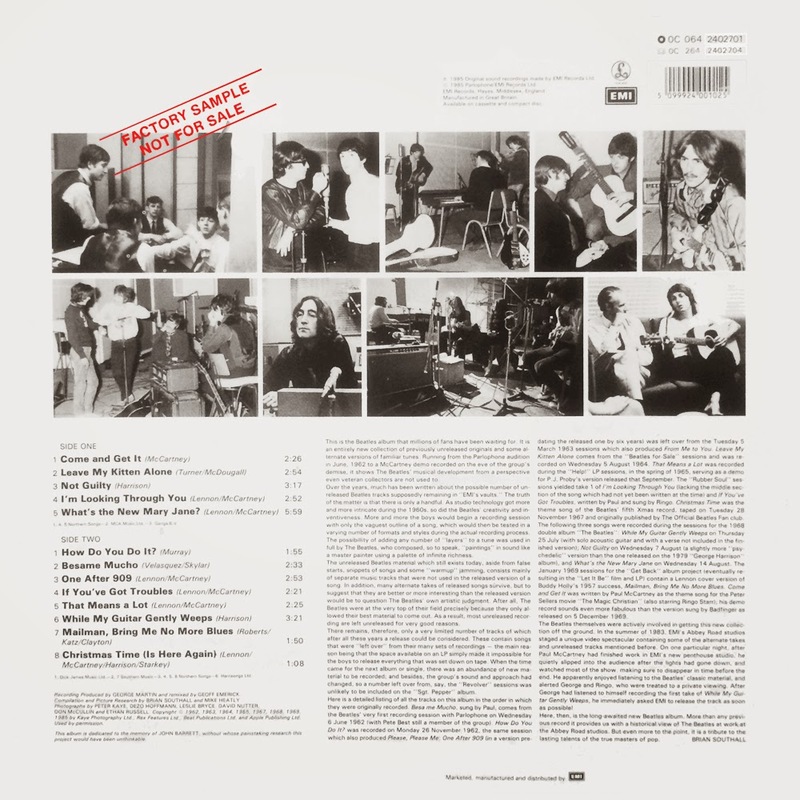 ln the summer of 1983, EMl’s Abbey Road studios staged a unique video spectacular containing some of the alternate takes and unreleased tracks mentioned before. On one particular night after Paul McCartney had finished work in EMI's new penthouse studio, he quietly slipped into the audience after the lights had gone down, and watched most of the show making sure to disappear in time before the end. He apparantly enjoyed listening to the Beatles‘ classic material and alerted George and Ringo, who were treated to a private viewing. After George had listened to himself recording the first take of While My Guitar Gently Weeps, he immediately asked EMI to release the track as soon as possible! Here, then, is the long-awaited new Beatles album. More than any previous record it presents us with a historical view of The Beatles at work at the Abbey Road studios. But even more to the point, it is a tribute to the lasting talents of the true masters of pop. Even if the above liner notes suggest that Paul, George and Ringo wanted to have some unreleased Beatles material in the shops, preventing this was probably the ongoing problem of royalties. All throught the eighties, the Beatles chased EMI through the courts in the UK and the USA, claiming that they had been routinely ripped off of royalties to the tune of millions of pounds. In 1984, the case reached London's High Court. Mr Justice Gibson ruled that EMI should have paid royalties on at least 85 per cent of net sales. In 1986, he ordered a court-supervised trawl through EMI's royalties records and again found for The Beatles. In 1989, EMI gave in, and settled the case on both sides of the Atlantic with its most famous artists. The resulting payout was "an eight-figure sum". But it was not the end of the wrangles between the Beatles and EMI. In 1993, The Beatles again issued legal action over EMI, this time over plans to release a double box-set of the compilation red and blue albums on CD without the Beatles' permission. Again, a High Court judge ruled in their favour and insisted they did have artistic control of their output. Pride satisfied, the Beatles agreed to the release. Now the time was right, and The Beatles and EMI tested the waters for unreleased Beatles material by compiling and releasing "The Beatles Live at the BBC" in 1994. It was a success, and the "Anthology" project became reality. But not before getting another raise: In 1995, The Beatles launched another royalty dispute with the record company. Again the two sides settled with EMI digging its hand into its pocket. The result was a rise in the royalty rate and a payment of about $35 million dollars. Great article, I can remember first hearing the boardroom tape on cassette in late 1984 and tracking down File Under that Christmas. Them Sessions, which, edits or not, was amazing. Those were good times. Now nothing leaks. Excellent article indeed, but as I recall, the full-colour sleeve shown towards the end of the article was also an official (later?) alternative to the (rather dreary) b&w version. It certainly looks rather too professional to be the work of a bootlegger... The rear sleeve looks pretty official too. Awesome analysis, Roger. Thanks for your time on this. Thanks Roger, it was a great read! Spanish English teacher influenced Sgt Pepper?